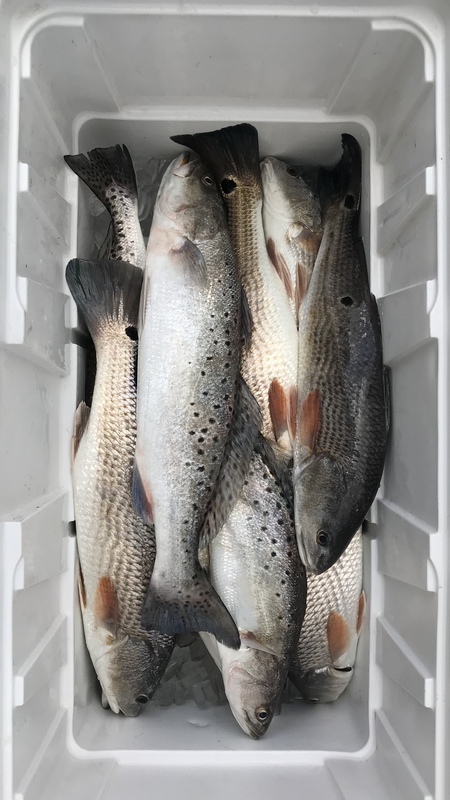 JEM and I teamed up today for an early morning outgoing tide....despite a 9 ft tide and dirty water we caught some nice trout and redfish...and were finished by lunch and in time to watch UGA put an azz whooping on Auburn. 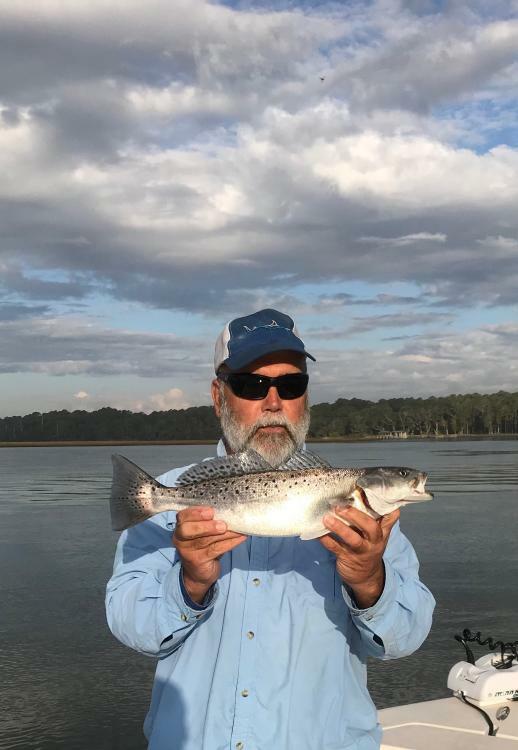 Here is fishmanjj with a 21" trout. Go Dawgs ! Congrats on some fine fish. I couldn't imagine 9 foot tides 2 1/2 are huge tides here on the Chesapeake. Fishmanjj - it's cool to see you and JEM fishing together. I always enjoy y'all's reports. It's good to have partners who reciprocate back and forth, especially forum members. Nag and I do that up here, not as often as I wish (he has this thing about taking my 5 kids on his boat). But its always nice to have someone else host, share gas cost, etc. It gets expensive in a hurry! Dude, I couldnt afford it if we didnt! Gas is expensive in those boats! Btw, I sent you a check for that prop. Let me know if you dont get it. Sorry for hijacking the thread! Nice catch, boys!